A Saudi dissident who makes a living mocking the House of Saud told AFP that he is undeterred by the murder of Jamal Khashoggi at the Saudi embassy in Istanbul. Ghanem Almasarir, who lives in the UK, spoke at a Wednesday protest at the Saudi embassy in London where he said that the murder of Khashoggi revealed a darker side of Prince Mohammed bin Salman - who Almasarir mocks as a "tubby teddy bear." On August 31, just over a month before Khashoggi was killed, Almasarir said he was followed and beaten by two Saudi men. The scene -- in which he was punched in broad daylight opposite London's Harrods emporium landmark -- was captured on video. -AFP via Yahoo! "If they are not held accountable, they will continue to do it," said the 38-year-old social media star, adding that several Saudi dissidents living in the UK are "afraid right now to leave their house." World powers including Britain and France are demanding answers and US President Donald Trump has accused Saudi Arabia of lying about the murder. -AFP via Yahoo! 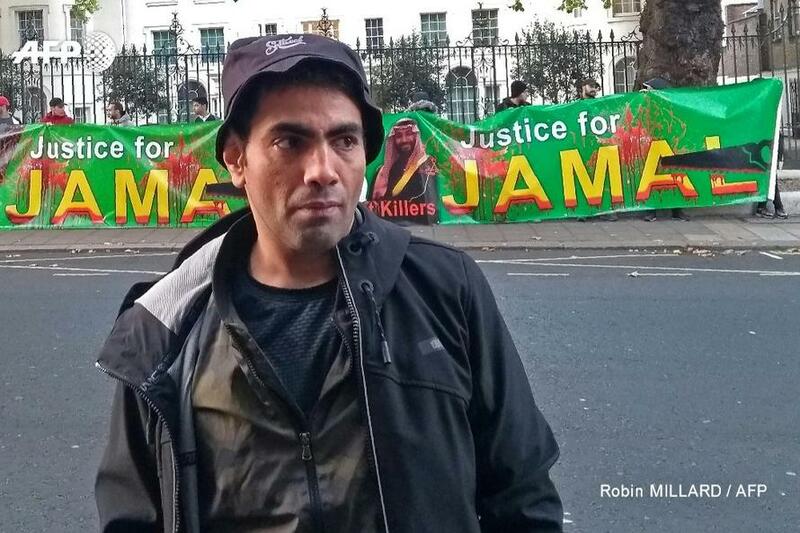 Almasarir hooked up with a dozen activists and hired an iconic open-top red London bus to drive past the Saudi embassy for their demonstration, while chanting "Where is the body of Jamal?" and accusing the Saudi Crown Prince of the murder. The bus had banners which read "Justice for Jamal," while demonstrators then unfurled a similar poster outside the security fence around the 18th century consulate. 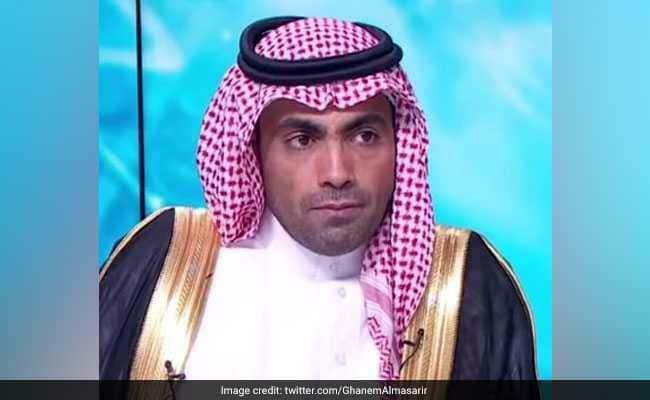 Almasarir - who has political asylum in Britain, says that other dissidents are even afraid to visit their country's overseas missions - while he has no intention of stepping foot inside the Saudi embassy for fear of death and dismemberment. "If we happen to walk inside, I think we will end up like what Jamal Khashoggi has suffered. They might kill us and dismember our bodies." When Prince Mohammed bin Salman became the first in line for the Saudi throne in June 2017, he immediately gained popularity after "shaking up the ultraconservative kingdom with fundamental reforms." Almasarir wasn't buying it. "If they refuse to do so, the international community should get together and impose sanctions on him personally. He should be banned from travelling," the social media star said. -AFP via Yahoo! Almasarir says he hopes that the ongoing global outrage over the Khashoggi murder will bring change to the Saudi kingdom - pointing out that 94% of his YouTube traffic comes from Saudi Arabia. "The Saudi people are fed up with the government, they don't trust them and they see my show as a voice for them," adding that people watch his channel "in secrecy but I hope that one day (they) will share it and it's not a crime in Saudi Arabia."